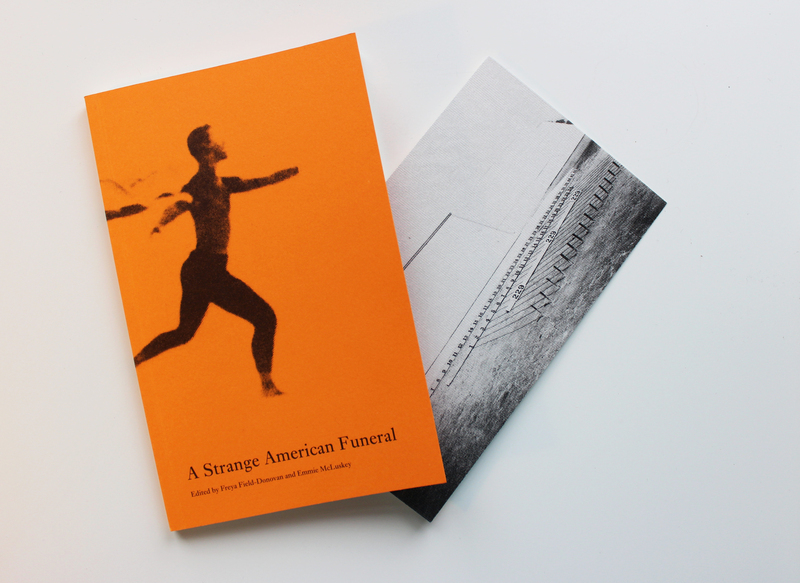 Join us to celebrate the launch of new publication A Strange American Funeral, edited by Freya Field-Donovan and Emmie McLuskey and designed by Maeve Redmond. The book, part of Emmie McLuskey's new project these were the things that made the step familiar, includes newly commissioned texts by Freya Field-Donovan, Millicent A A Graham and Kadish Morris as well as historical material from Katherine Dunham and Maya Deren. A Strange American Funeral was made possible by the generous support of Glasgow City Council's Visual Artist and Craft Maker Award and Hospitalfield Arts Summer Residency Programme.